Dancers performed during the 2010 Latino Heritage Festival in Des Moines. 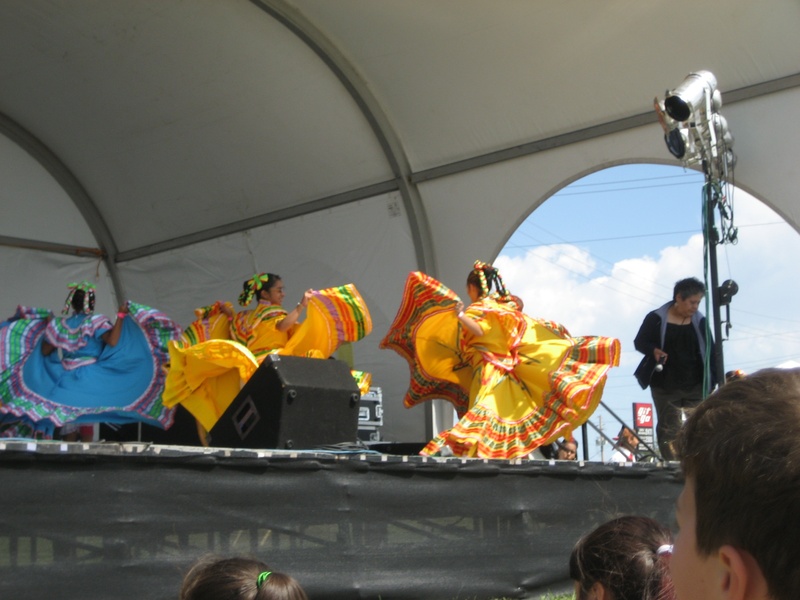 The festival, recognized as the biggest ethnic event in Iowa, represents Iowa's growing Latino population, whose heritage stems from roughly 22 different Latin countries. Presidential candidates in the 2012 Iowa Caucus clamor for attention, addressing doctors, teachers, bankers and Joe Sixpack. But in all the noise, the voice of one of America’s fastest-growing populations is lost. The voice of José Sixpack. Latino voters, the group credited with swinging battleground states into the Obama camp in 2008, are routinely underrepresented in Iowa’s caucuses. Some experts worry this political isolation could diminish their presence at the polls. Voter apathy among Hispanics may not matter much now. Pew Hispanic Center estimates show eligible Latino voters comprise just two percent of Iowa’s voter population. But their numbers are growing. In a few years, their ballot power could turn them into a voice the politicians must listen to. Roughly 64 percent of Iowa’s Latino population is below the voting age, compared to 23.7 percent of the general population. For now though, the Hispanic population frequently feels forgotten and powerless, contributing to a sense that their vote doesn’t matter, said Gina Rosales, a coordinator for the non-profit organization Centro Latino in Council Bluffs. Many Latinos in Iowa face prejudice and language barriers that isolate them. Rosales described the account of a local woman who was walking home after dropping her kids off at school. 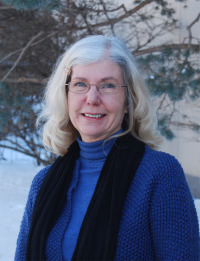 Cornelia Flora, a sociology professor at Iowa State University, said some Hispanic-American citizens might be afraid of drawing attention to themselves by going out to vote. Just as anti-Hispanic attitudes drift north, the immigration debate extends from the traditionally contentious border states and into Iowa’s farm fields. Over one-third of Latino voters said the most important issue for the Latino community was immigration reform and the DREAM Act, according to national polls conducted by impreMedia, a Hispanic news company, and Latino Decisions, a research organization. The act would enable immigrant children to work towards citizenship by earning a college degree or serving in the military. Rosales said immigration issues severely affect Iowa Latinos. She talked about a woman who raised her kids on her own while waiting two-and-a-half years for her husband’s immigration to be approved. She had to declare bankruptcy, Rosales said, because she didn’t have a spouse to shoulder half of the economic burden. Roughly 25 percent of the Latino Decisions poll responders listed unemployment as the most important issue. Then came education with 20 percent and “fixing the economy” at 18 percent. Rita Vargas, the county recorder for Scott County, said the economy was a key issue among Hispanic voters in her county. “Traditionally, when the economy isn’t good, that’s who ends up in the unemployment line,” she said. Overall unemployment hovered at 9.1 percent, while unemployment among Hispanics remained at 11.3 percent, according to the September news release from the Bureau of Labor Statistics. 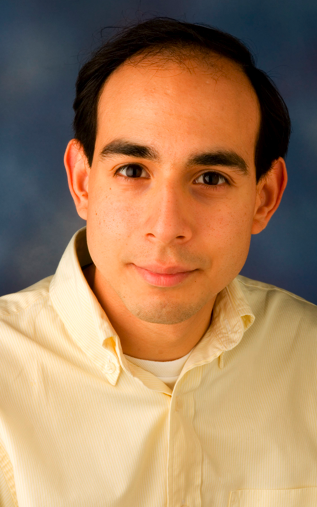 Latino voters are more likely than others to vote based upon policy positions instead of party affiliation, said Rene Rocha, a University of Iowa political science professor who specializes in racial politics. Because first- and second-generation Latino voters are generally raised by parents without strong party loyalty, they do not form a strong attachment to one party or another, Rocha said. Democrats usually appeal to first-generation voters on economic and immigration policies, so they tend to vote Democrat, Rocha said. The second generation is still malleable, but trends towards Democrats. By the third generation, party affiliation is often set. Within the next 40 years, Iowa Latinos will be largely third-generation, Rocha said. If political trends continue, this generation will favor Democrats. Some Republican candidates have tried appealing to Hispanic voters based upon social issues, said Rubén Martinez, the director of the Julian Samora Research Institute, a Latino research center at Michigan State University. They are unlikely to meet with success, he added. All told, Rocha stressed that the Latino electorate forms a fairly stable base of Democratic votes. “It’s hard to see a significant change in the foreseeable future,” Rocha added. However, a number of pundits and polls have commented on the recent dip in Latino approval ratings for Obama, suggesting an opening for Republican candidates to win swing votes. Obama is sinking in the eyes of Hispanic voters, according to recent polls by Resurgent Republic, a conservative polling organization, and by Latino Decisions. A majority of respondents in the Resurgent Republic poll said Obama “has not delivered” on promises he made to Hispanic voters, such as immigration reform. Obama seems to be trying to regain this lost fervor. On Sept. 14, he addressed the Hispanic Caucus, appealing to Latino voters by referencing the DREAM Act. He pointed to Republicans as the roadblock. They helped draft the act, he said, but then reneged when Senate Republicans blocked the passage of the bill through the Senate. Following the 2008 election, pundits and scholars credited the Hispanic voting block with providing then Sen. Obama the extra boost needed to win swing-state delegates. Hispanic voters went 67 percent to 31 percent for Obama over his Republican competitor, U.S. Senator John McCain, according to Pew Hispanic Center data. Despite this recognized influence, Latino voters in Iowa, and across the nation, have received little attention from candidates. Granted, Iowa’s Latino vote won’t be large enough to decide the 2012 caucuses. But, the Hispanic electorate of the future could pack a punch. 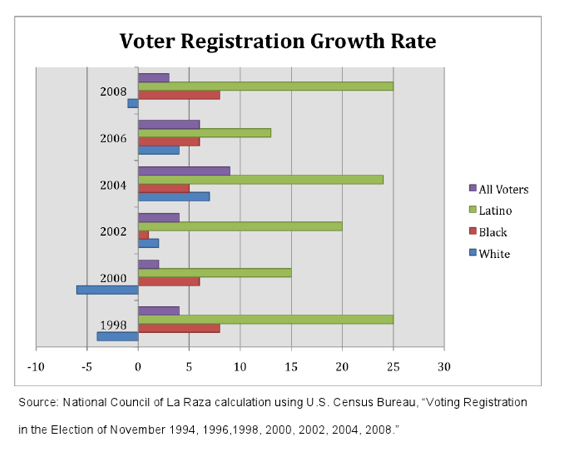 A study by the National Council of La Raza reveals that registered Hispanic voters increased by over 20 percent in 2004, while overall registration increased by less than 10 percent. In 2008, Hispanic voters increased by roughly 25 percent, and total voters by less than five percent. So far, Martinez said, there have been few efforts to incorporate Hispanic voters, especially from the Republican Party. Brazilian Ethanol: A Viable Model?